'I'm bored!' It's a phrase parents are all too familiar with. Some of us dread it so much we fill our children's days, lining up an array of extra-curricular activities, plying them with books and toys at home, and always having some electronic device on hand 'just in case'. But, the truth is, a little boredom is wonderful fodder for the imagination and something our cherubs should experience more of. Take Doodle Cat. 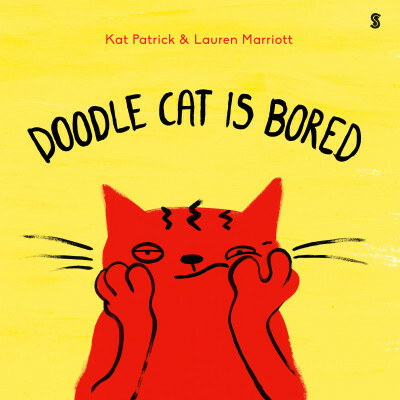 You know, that sweet and quirky little cat who loves just about everything, especially doodling. Well, he's back and, this time, he's bored. But then Doodle Cat finds a thing and his curiosity is piqued. What is this thing and what does it do? Suddenly, Doodle Cat is no longer bored as his creativity and imagination take flight. It's a bit like the moment you give your child a fancy new present and they spend hours playing with the box. It doesn't take much for kids to conjure a magical world of their own. 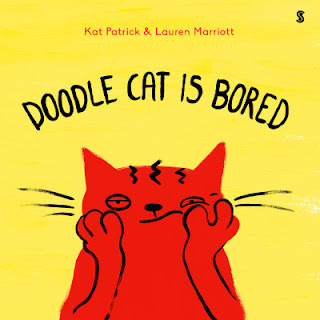 Playful, charming and just a little bit odd, this sequel to the popular I Am Doodle Cat is the perfect reminder that children need time to explore and create.